Okay, things are getting weird. Most customer are still getting used to the idea that cars might soon drive themselves along the road. While that seems relatively easy on paper, automation is such a heavily complicated endeavor and it’s one that automakers still haven’t quite figured out yet. That hasn’t stopped them from dreaming of the future, though, and it seems as if Audi is dreaming of a very distant future. 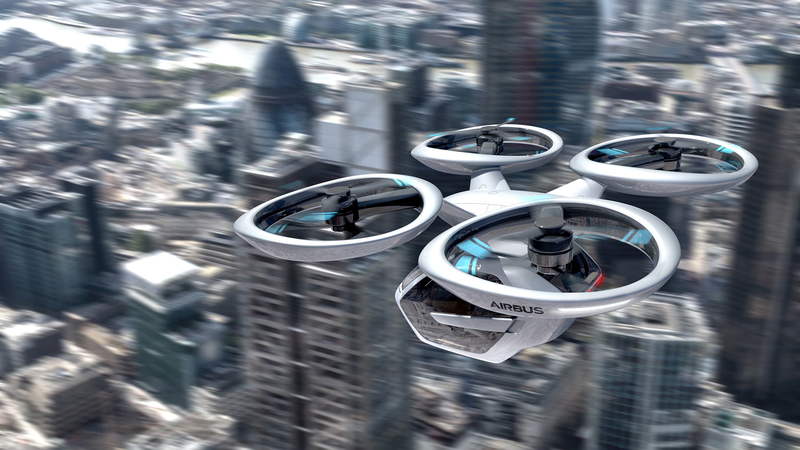 One where its autonomous car can turn into an autonomous flying passenger drone. 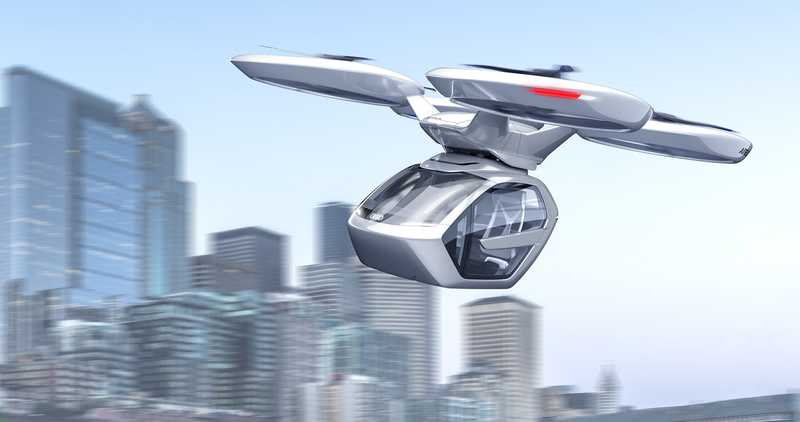 It’s called Pop.Up Next and it essentially combines a fully self-driving passenger car that then becomes a flying drone, so as to be able to shuttle passenger by both land and air. But Audi isn’t alone on this, as it’s currently working with Italdesign and Airbus on this radically ambitious project. “Creativity is needed where new mobility concepts for cities and people’s diverse needs are concerned. 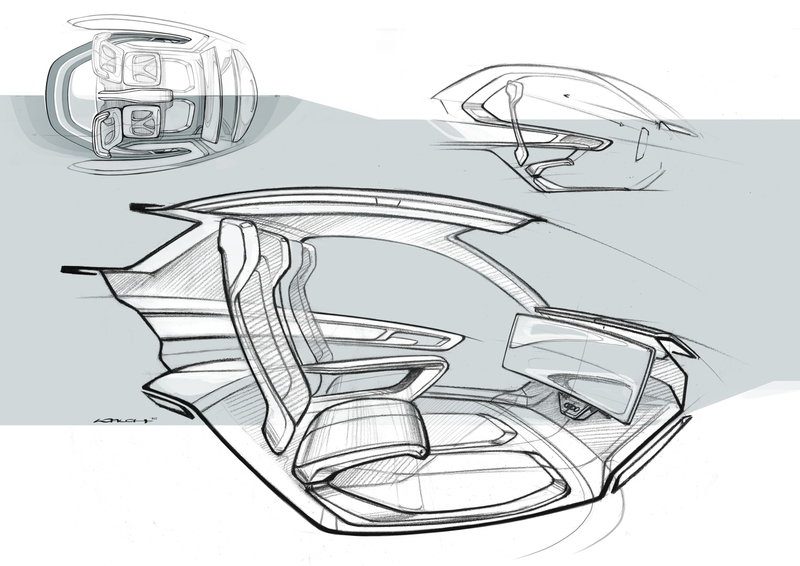 Italdesign is an incubator for innovative technologies and radical prototyping. 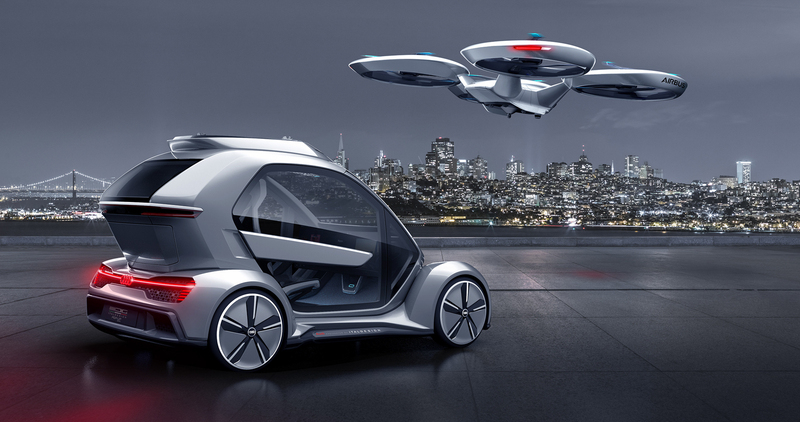 Pop.Up Next is an ambitious vision that could permanently change our urban life in the future,” says Dr. Bernd Martens, Audi Board Member for Procurement and President of Italdesign. 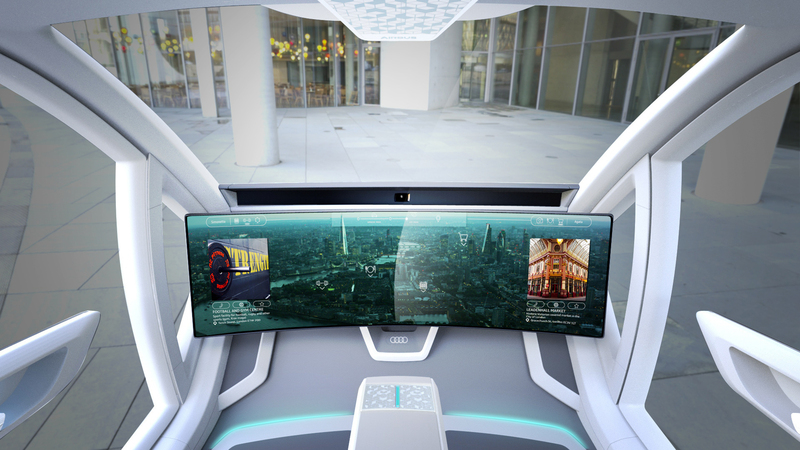 The idea basically works like this: There will be a passenger cabin that can seat four people and features a massive 46-inch widescreen touchscreen display front and center. 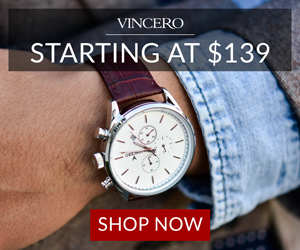 There are not traditional automotive controls, such as a steering wheel or pedals. That passenger cabin can then attach to different transportation modules. One of those modules is a car module, which features four wheels and the bottom of the passenger cabin connects to the top of the car module. 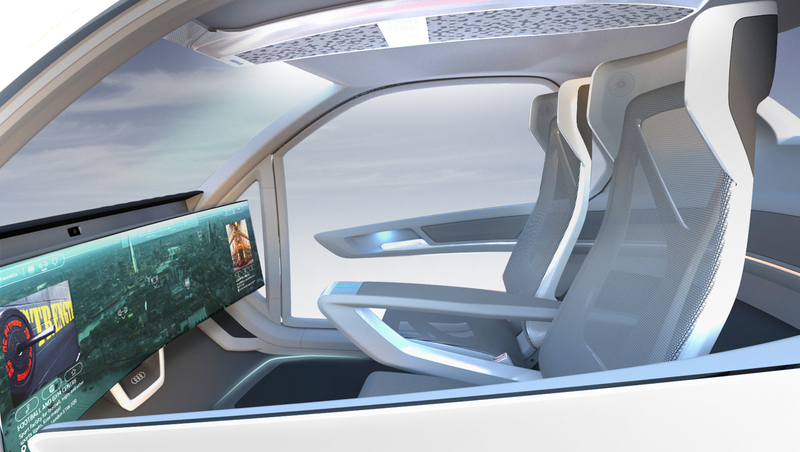 This turns the cabin into a fully autonomous car. 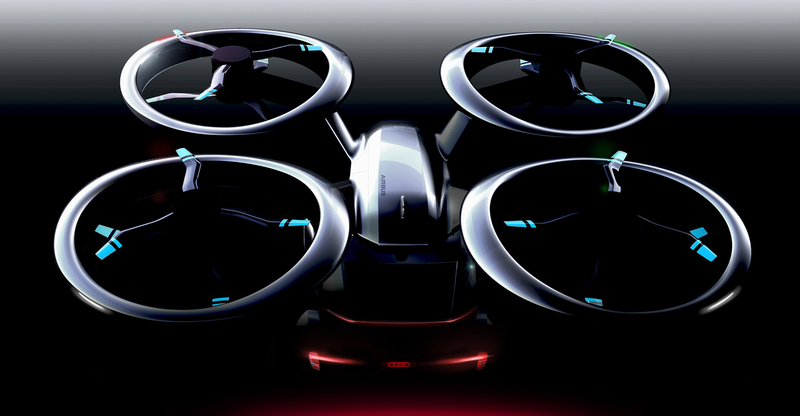 However, if the passengers need to go further, faster, or maybe cross a river or bay, the passenger cabin can connect to a flight module, which features four propellers, much like a drone. And that’s essentially what it becomes, an autonomous passenger drone. 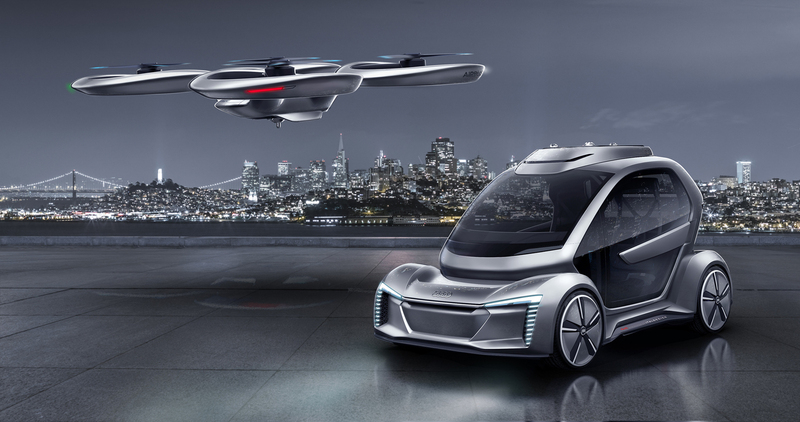 Both Audi and Italdesign see this Pop.Up Next concept as an idea that could be very attractive to customers in the future, especially those that live in dense urban cities, where flight could greatly ease congestion. “Various players will define the rules of urban mobility in the future. 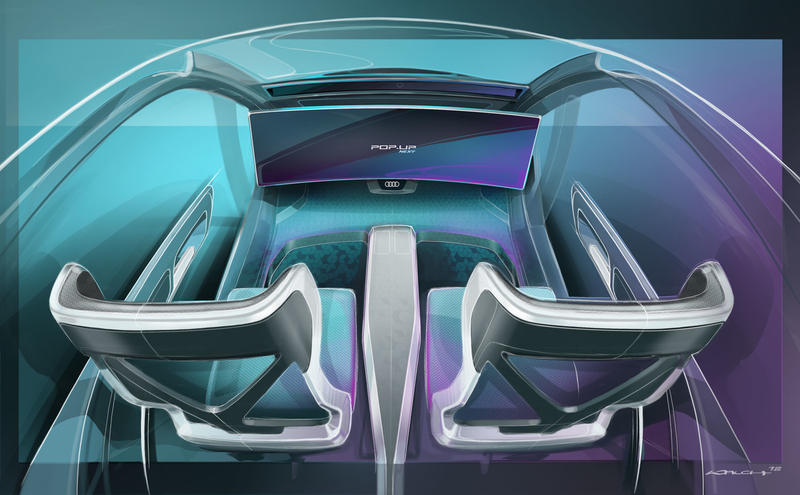 We are proud to collaborate with Airbus, the leading company in the aerospace industry, to investigate solutions for future mobility.” said Jörg Astalosch, CEO of Italdesign. This may be the wildest automotive concept we’ve ever seen. Although, it is a much smarter way to create a flying car than the ridiculous attempts we’ve all seen in the past. It’s actually quite a brilliant idea but not one we see actually being viable for many decades to come.